The house has three Bedrooms and two Full Bathrooms, Living Room, Dining Area, Kitchen and a Large Covered Porch that is great for relaxing and watching a sunset or enjoying a BBQ dinner. The dining table seats six and the bar top counter has four stools. There are ceiling fans in every room and on the covered back porch that overlooks the lake. Our spacious porch and grassy backyard have spectacular views of the lake and are perfect for picnics, Frisbee, tossing a football and other games. For extra fun, the Agua Lisa lake house is across the street from the Lighthouse Golf Course where you can enjoy a round of golf or relax in the grill and lounge. 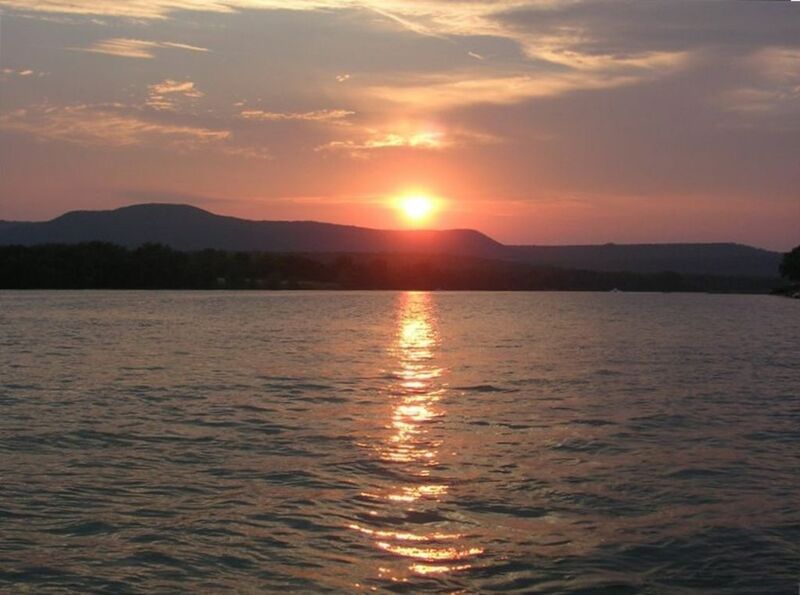 Best of all worlds, our part of the Llano has quiet shores and inlets that are fun to explore by kayak, but you are also close to the open reaches of Lake LBJ for boating and skiing. The boat dock has dockside cleats on three sides for mooring your boats, kayaks or jet skis and there is a jet ski ramp. Our family enjoyed a long wonderful weekend together and absolutely loved the Agua Lisa Lake House. It has beautiful lake views from the kitchen and living room. The location on the lake was very quiet and relaxing. The house was nice, clean, and very well stocked with everything that we needed. Drinking our coffee on the covered patio in the morning with the lake view was the best way to start the day! We rented a boat and jet ski for the weekend so the boat and jet ski docks were a bonus. Great time this Memorial Day at the Agua Lisa! We do not allow pets. Please contact owner by e-mail for winter rates or for special pricing for long term rentals. For a rental from September 15th - April 30th the winter rate is $375.00 per night.